Spouses can negotiate a marital settlement on their own, through mediation, or with the help of professionals in a process called collaborative divorce. Collaborative divorce involves a team of professionals to address different issues and facilitate a settlement that works for everybody. A psychologist might offer input regarding custody issues. 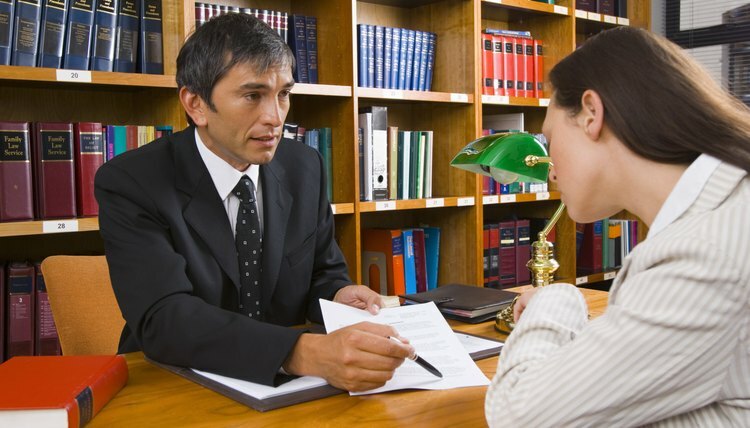 A certified public accountant might make recommendations regarding assets and debts. When the spouses reach an agreement, their attorneys will submit it to the court as an agreed entry, finalizing the marriage. Spouses working on their own in an uncontested divorce can do the same thing. Ex-spouses can address issues that crop up post-divorce in the same manner. For example, if one spouse was to retain the marital home, then found out she couldn’t qualify to refinance the mortgage into her own name, the parties could submit an agreed entry to the court to revise that particular clause of their agreement. If a non-custodial parent loses his job and falls behind in child support, the custodial parent might agree to waive the past due support to help him get back on his feet when he finds work again. A post-judgment order can address these types of situations. After a divorce, an agreed entry is the spouses' consent to enter an order changing the terms of their decree. Some states call these agreements consent orders. An agreement itself is not binding until a judge signs it and the court creates a record of it. When spouses agree to an uncontested or collaborative divorce settlement, they submit an agreed entry with the marital settlement agreement or property settlement agreement attached. A judge signs it and it becomes their divorce decree. When a judge signs a consent order or post-judgment agreed entry, it supersedes the terms of any pre-existing orders to which it applies. An agreed entry is as binding as a decree or order issued by a judge after a trial or hearing. A spouse can’t change his mind about what he agreed to and withdraw the entry of the order or decree. If a spouse refuses to comply with the terms of an agreed entry, the other spouse can file a contempt motion against him, just as she could if the judge had issued the terms of the order. FreeAdvice: What is Collaborative Divorce?